The 19th and early 20th century was a time of invention and industry, with the public’s imagination spurred by some of the most iconic science fiction ever written. For instance, H. G. Wells’ War of the Worlds was first serialised in 1897 – just a couple of years before Red Dead Redemption 2 is set. So, here’s how to uncover one of Rockstar’s nods to classic sci-fi, and find Marko Dragic and the robot in Red Dead Redemption 2. To trigger the Stranger quest that leads to the robot encounter, you need to have reached at least chapter 4 in the game’s main story. To start you on your robotic journey, head over to the city of Saint Denis in the east of the map. In the southwestern outskirts, you’ll see a park with a pond on the map. On the eastern bank of the water, you’ll meet Marko Dragic, a rather irate inventor, who has a few choice words and after the lengthy cutscene, a task for Arthur. This leads to the Stranger Mission “A Bright, Bouncing Boy”, which has multiple parts. In the first part of the mission, you have to pilot the remote control ship and blow up static battleships while avoiding mines to impress the potential investors. It’s pretty straightforward, but if you’re having trouble lining up the shots, know that you can get pretty close to your target and not get blown up by your own shot. In the second part, the targets move. The first target is in front of you, then the next two are to your left. Again, you can get pretty close to your target, so get in tight if you’re struggling to gauge your shots. When you’re done, Marko Dragic will invite you to his laboratory in Doverhill, where the next part of the quest takes place. Stick around after the cutscene to see what the investors made of your little demonstration. You can find the Dover Hill Laboratory right in the northeastern corner of the map, north of Roanoke Ridge and Brandywine Drop. There should be a map marker there after completing the first robot mission. Enter the workshop and you’ll find Marko Dragic in need of some help with conductors. After the cutscene, head off into the northern hills to where the quest objective marker is, and aim the Detector. As you get closer to where you need to go it will flash more quickly, and eventually turn solid. Once you’ve placed the first one, keep heading up the hill and place the second at the top. Then turn towards the east and head that way, placing the third conductor by a tree within the quest marker zone. Once you’re done, go back to the laboratory. After the cutscene, climb up onto the tower, then run around to the other side to climb the ladder. At the top, there’s a little puzzle where you have to get all of the light illuminated at the same time. To complete the puzzle, pull the left-hand lever first, then the right-hand lever, then the middle one. Return to Marko Dragic in the lab by climbing back down the ladder, and enjoy the cutscene. After a day or so, return to the laboratory, and you’ll find Marko Dragic in a rather compromised position. Claim the Electric Lantern from the floor and inspect some of the notes around the lab for some more flavour. 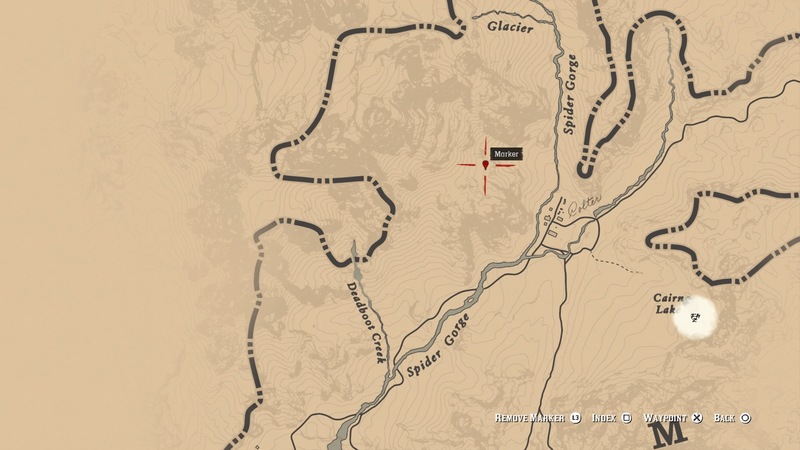 Now to track down the Robot, you need to head to the far northwestern side of the map near Spider Gorge (see screenshot). Walk up to the top of the mountain and you’ll find what you’re looking for, taking in the vista from the edge of the cliff. For more Red Dead Redemption 2 Easter Eggs, take a look at our full page. A few of them take a bit more work to find than others, so we have separate pages on how to find the vampire, track down the serial killer, and come face-to-snout with the werewolf. If you’re more interested in more pedestrian legendary creatures, check out our guides to all of the Legendary Animal locations and Legendary Fish in Red Dead Redemption 2. The post Red Dead Redemption 2: How to find Marko Dragic and the Robot – A Bright Bouncing Boy Stranger Quest appeared first on VG247.